This list only contains grassroots grantees from 2015-2019. Click here for an interactive database of all of our grantees. 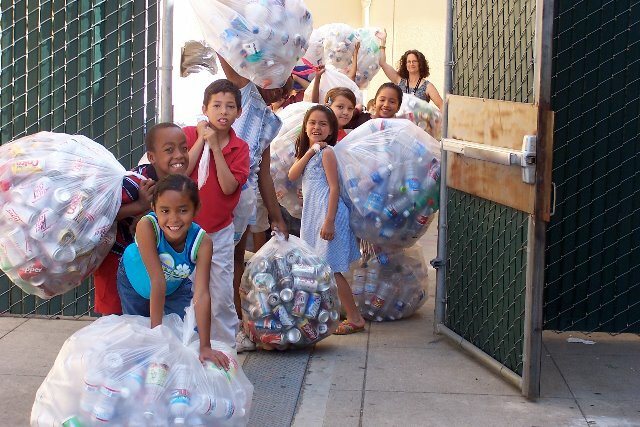 To support the Ocean Warriors program, an elementary school-level environmental leadership program that educates students on the impact of pollution and ways to integrate everyday sustainable practices. To expand the Leadership and Mentor Training Program, which offers a 5-day backpacking trip to give youth a holistic experience and promote self-efficacy to positively impact the planet, as well as stewardship skills building. To complete the webcasts & documentary of Changing Landscapes: The Eel River Estuary, which spotlights the community-driven effort to reconnect the Salt River tidal zone to its original freshwater salmonoid streams. To purchase an office space that will provide shared space for allies, enhance local collaboration on projects such as Safe Ag Safe Schools coalition, and strengthen partnerships for the benefit of the Central Coast environment and its constituency. 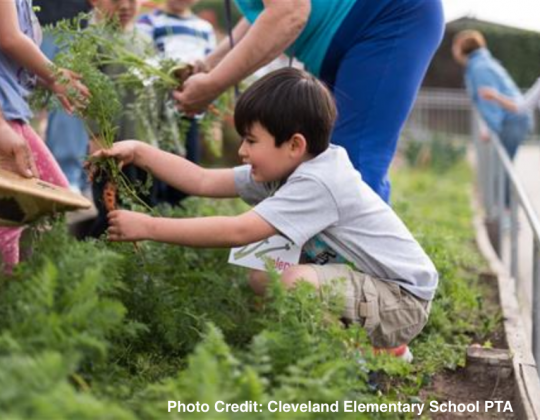 To fix and improve Cleveland Elementary School’s vegetable garden in order to continue work teaching the school’s 400 students on how to sustainably grow their own food. To support participation in the Kern County General Plan and advocate for more investment in the community’s infrastructure; including projects to build more sidewalks, resolve flooding issues, improve park facilities, and more. To participate in the SB617 steering committee to have Shafter as one of the first communities to implement the act and identify projects to reduce pollution and promote public health in the community. To support the engagement of South Kern residents through promoting recreational opportunities and advocacy efforts for healthy and inclusive land use priorities as part of the Kern General Plan Update process. To advocate to keep Point Molate as a public resource and to actively oppose the current city plan to sell it off for a high-end 1,000+ private housing development. To establish a community advocacy effort in favor of developing a new City Tree Ordinance and protecting riparian areas through educational field trips and a film series. To create a climate resilient-oriented alternative Master Plan for the Placer County Board of Supervisor’s proposed 11,000-acre industrial growth area in Western Placer County. 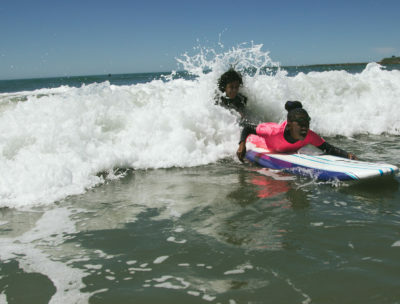 To build a diverse and environmentally reverent local women’s surf community through accessible, culturally resonant beach-based programs, conservation efforts, and community celebrations that connect us to the ocean. To mobilize and organize grassroots environmental groups and communities to engage governmental stakeholders to protect health and p romote justice and resilient communities. To conduct outreach and communication regarding pesticides and clean water in the community through educational community meetings and coordinating with local media outlets. To continue to educate the Alpaugh community on issues that affect health and quality of life, including water infrastructure needs, impacts of industrial operations, and air quality issues. 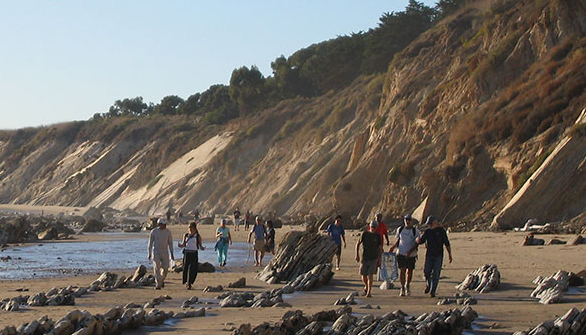 To advocate the opening of the currently private state-owned beaches at Hollister Ranch by fortifying their grassroots alliance and undergoing litigation. To promote sustainable economic development in the region around Mount Shasta, defend against corporate privatization of natural resources, and encourage a community-wide democratic role in decision-making. To support “Youth Versus Apocalypse”, which will train a team of youth leaders around the Bay Area to become a network for social and environmental justice in their schools and communities. To improve one of the city’s largest urban farms in Bayview/Hunters Point through increased crop harvests, food distribution, outdoor activity, and diverse community interaction. To strategically utilize the voices within CTJC’s community to highlight stories of people impacted by trade in order to mobilize Californians into action in pushing for trade deals that put people and the planet first. To provide community input to the Kern General Plan update, addressing inequities in housing, transportation, and infrastructure investments in rural Kern County, and to participate in county budget approvals to advocate funds for Arvin and other Kern County disadvantaged communities. Fiscal Sponsor: Food First/Institute for Food and Development Policy, Inc.
To fund the third annual synopsium of Foundations and the Future: Celebrating Women’s Leadership in the Food Movement; which will lift up the leadership of women in the food movement and catalyze inter-generational dialogue that weaves together policy, advocacy, art, and farming. To mitigate illegal dumping and trash by collaborating with agencies and providing opportunities for people to directly protect, experience, and learn about Pinole Creek. To protect watersheds and wildlife on the Klamath and Six Rivers National Forests through active participation in planning, commenting, monitoring, and litigating projects; while applying traditional ecological knowledge, science, law, policy, place-based knowledge and community needs. 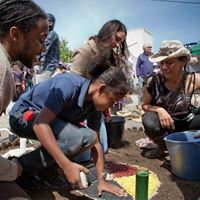 To support an event that transforms weapons into shovels for ceremonial tree plantings at sites impacted by violence and sites of spiritual significance across Oakland, as well as offering education centered on disrupting environmental racism. To empower young people to proactively respond to the realities of climate change using hands-on skills training in disaster preparedness, urban homesteading, permaculture, and ecological sustainability and leadership. Fiscal Sponsor: Social & Environmental Entrepreneurs (SEE) Inc.
To unify Oakland community organizations in creating equitable climate solutions that advance racial, economic, environmental, and climate justice through leading and facilitating community-driven climate resilience planning. Fiscal Sponsor: Earth Island Institute, Inc.
To continue a lawsuit against the California Department of Pesticide Regulation, as well as continuing public education and outreach activities about the ecological effects of pesticides. To continue to empower local residents in the Pájaro Valley to respond to the changing climate as projects prioritized by the community are carried out. To develop programming for youth to plan and lead a session at the California Adaptation Forum to support planning professionals communicating solutions to frontline communities in ways that empower lived experience and local expertise. To provide outreach and support for Tribal people and youth on issues that impact salmon and clean water on the North Coast and in the Klamath River system. To continue educational programs focusing on reuse, recycling and conservation, while expanding into providing community gardens for underserved populations and educating other agencies and neighborhoods on how to replicate the Plant Exchange event. To protect Washoe Meadows State Park from the impacts of a proposed golf course through analysis demonstrating alternative projects that would be better for the environment and community. To secure safe, clean, and affordable drinking water in California’s San Joaquin Valley by working to clean up existing pollution and preventing further pollution. Funds will support AGUA’s Movement Building and Safe and Affordable Water Campaign. To engage members in citizen monitoring, stream-side restoration, storm water management actions, data analysis, and watershed education in Butte County. 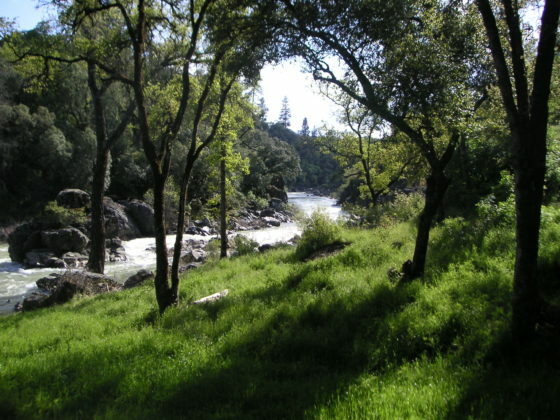 To promote the restoration of lower Eel River habitat to protect Chinook and Coho salmon, erect a Lower Eel River Salmon Parkway trail to connect communities with the river, and involve local students in the study of the Eel River. Filipino American Coalition for Environmental Solutions (FACES), Inc.
To grow a vibrant community garden in Union City that will serve as a hands-on space to engage youth in growing solutions to local health issues, as well as an educational center where Filipino youth can make connections between their communities and broader issues of environmental justice, climate change, and resiliency. To develop a “Water Justice” track and bring community leaders working in this field to an existing water reuse conference, as well as record and post the sessions to make available to the public. To fund the Youth Bike Mechanic Training program, which provides leadership development for adolescent African Americans, as well as provides the cohort with a range of experiences associated with bicycle maintenance and safety, health, and ecological awareness. To conduct a PIT tag survey in the central Laguna de Santa Rosa to determine whether endangered coho salmon are utilizing potentially high-quality habitat in the Laguna, which will help inform management and habitat restorations in the central Laguna and Russian River. 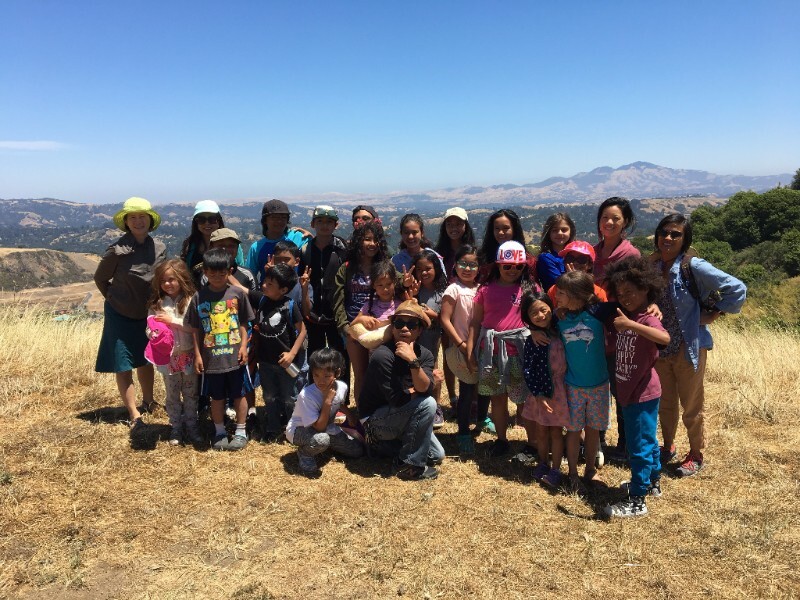 To support the organization’s 4-week multidisciplinary environmental and cultural summer camp for 28 Philipino American youth from the Bay Area, aimed to nurture a healthy sense of self as a vital part of the Philippine diaspora and as stewards of the Earth. To expand Tahoe Food Hub to South Shore, support Liberty Energy to be the first 100% renewable utility agency, complete Green Spaces at 4 elementary schools in South Lake Tahoe, and to promote safe biking and walking in the community. To support the California Allegory Youth Fellowship, an action-oriented, arts-activism fellowship for California youth working from the grassroots for climate justice. To fund the Environmental Leadership Training and Education Program for Formerly Incarcerated Adults, which engages in grassroots environmental training, education, and community outreach with men and women who have been recently released from prison and are reentering the community. 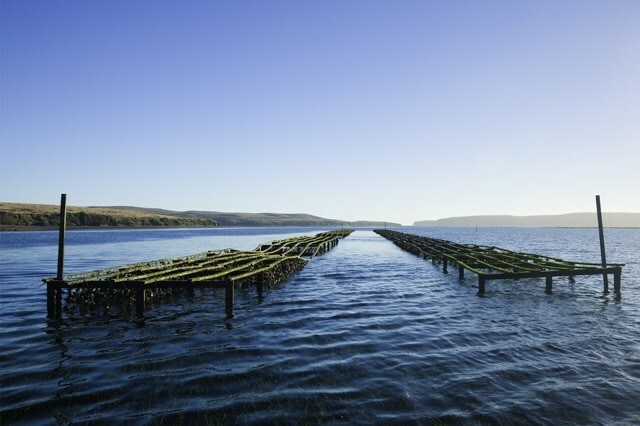 To support the aim of bringing native oysters back to the San Francisco Bay through restoration, community engagement, and thoughtful urban planning. To engage youth, tribal members, and other community members for targeted, urgently needed restoration at the mouth of the West’s largest coastal lagoon and other activities within Tolowa Dunes State Park and the State Lake Earl Wildlife Area. To accelerate the transition to a just and sustainable future by making the Sacramento region a leader in the race to carbon zero. To educate communities about the destructive effect of litter on oceans and waterways by providing effective methods to reduce our impact. By focusing on youth through the Ocean Warriors program, All One Ocean aims to create a sustainable approach to changing behaviors at the source and creating a new generation of environmental leaders. To engage in education and advocacy to support the growth and diversification of small-scale and community-based composting in California. Members of the Alliance represent compost micro-enterprises and nonprofits that face a growing number of legal barriers. The Alliance raises a collective voice for emerging small-scale composting operations, shares resources, educates regulators, and advocates for community compost friendly regulations and policies. To participate in the Kern County General plan update and budget approval to advocate for funds as well as looking for county, state sources of funds to improve infrastructure in unincorporated communities. To protect the community, as well as the North Fork Feather River, headwaters to many downstream recreational, drinking supply, and habitat needs. To lead a coalition of groups in a coordinated grassroots campaign to stop the proposed Centennial dam. If built, this new dam would be located on the Bear River and would flood the last free-flowing and publicly accessible stretch of the Bear, destroying the native fishery, over 100 Native American cultural sites, popular recreation opportunities and over 25 homes. To purchase water quality monitoring testing kits and GPS mapping software to track environmental issues and local resources, to restore relationships and responsibilities between tribal families and local communities. To strengthen the pesticide reform movement in the rural south county, home to some of the poorest, most disenfranchised and most heavily impacted people in the region. 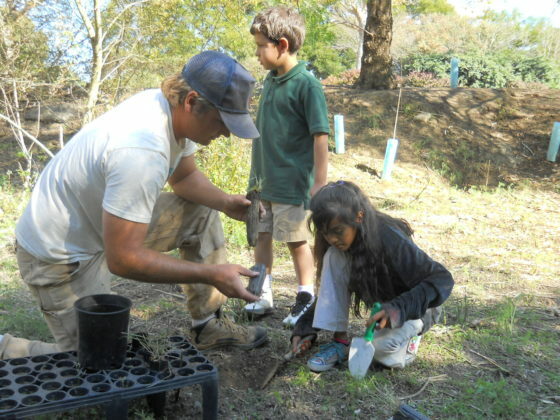 To connect community members of all ages to their natural spaces, provide hands-on ecosystem education and the fundamentals of restoration, and foster appreciation and stewardship of the San Pablo Creek Watershed. To protect and restore Wolf Creek and its watershed to a condition of optimal health and integrity for the benefit of present and future generations. 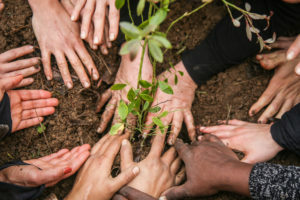 To sponsor tree planting and maintenance projects in Benicia while educating the community on the benefits of trees to the environment and how to grow trees sustainably. 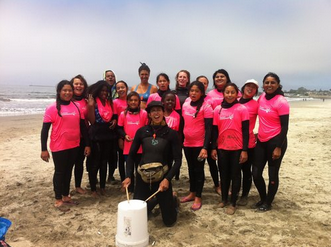 To build a joyful, diverse, and environmentally reverent women’s surf community locally through highly accessible, culturally resonant, beach-based programs, conservation efforts, and community celebrations which connect us to the ocean. 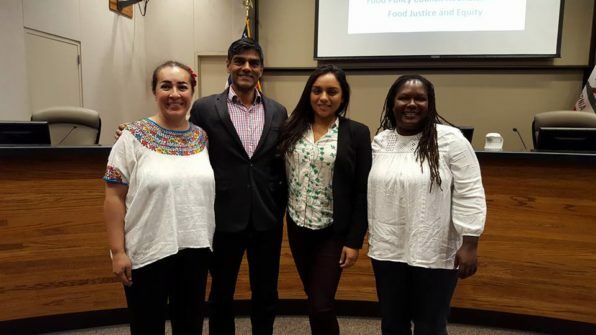 To engage members in education and advocacy activities to reduce the disproportionate harm caused by goods movement in low-income, minority communities in the San Francisco Bay Area. To support the engagement of South Kern residents through health promoting recreation opportunities while advancing advocacy efforts for healthy and inclusive land use priorities as part of the Kern General Plan Update process. To advocate for a site-specific fish advisory to inform Humboldt Bay area residents on reducing mercury exposure from eating locally-caught fish. To work towards developing an outreach campaign to increase understanding by local residents and visitors of human-mediated impacts in the Almanor Basin and their role in stewarding watershed health. To advocate a thorough clean-up and environmental restoration of a 400 acre mill site closed in 2002 by pulling the community together to daylight two creeks that were covered during mill operation and restore 60 acres of wetlands. 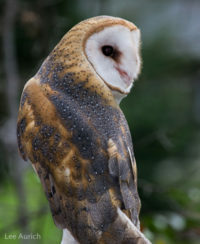 To protect upland habitat and wildlife movement, preserving connectivity, in the Petaluma River Watershed in Sonoma County, and support advocacy to prevent urban sprawl, destruction and fragmentation of habitat and wildlife movement areas. To research and link river otter population recovery to watershed health and conservation through community science, research, outreach and education. To propel collective action toward an equitable and sustainable food system by building alignment, advancing policies, and convening advocates, policy makers, and organizations around a shared agenda. To bring Waterspots, an onsite water harvesting hub that provides experiential education in water security and resilience issues, to schoolchildren across the San Francisco Bay Area, engaging the next generation in climate change action. To support Deep East Oakland communities to guide the design, building, development and implementation of a pedestrian/bike greenway along the San Leandro Creek as an economically thriving, clean, safe, affordable, environmentally healthy place which reflects the local cultures without being displaced by the regional improvement. 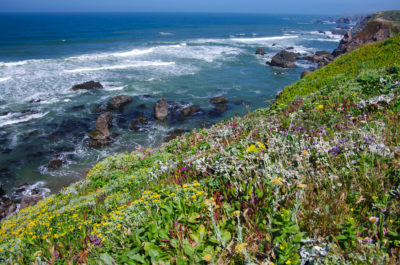 To restore the ecological integrity of California’s North Coast by empowering and assisting regional community-based conservation and restoration projects. To help advance collaborative whole-watershed planning and resource management in the Tulare Basin based on sound science and mutually identified needs for regional economic and ecological sustainability. To fund student interns augmenting the organization’s volunteer workforce during the summer of 2018 to help recover trail systems and facilities in burn areas from the 2017 Marble Mountains Wildnerness fires. To engage youth in advocacy processes to shape the City of Oakland’s new Truck Management Plan (TMP). Youth participants will learn to use scientific findings to influence policy making using a new body of air quality data that shows high rates of street level truck pollution in West Oakland. To design a creek access map highlighting ADA-compliant trails and engage volunteers in high-visibility stewardship projects that emphasize the watershed’s ecological and cultural connections. 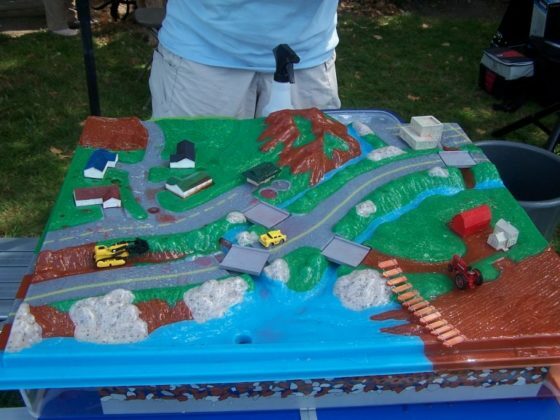 To educate communities about healthy habitat, streams, rivers, and water resources by forging connections to the Napa river. To maintain the C.R. Stone Garden, which grows vegetables that are donated to Tri-Cities Volunteer Food Bank, the largest client-direct food bank in Alameda County. To promote and preserve local sustainable community scale agriculture by providing a venue for local producers to market food, products and services, and to provide year-round access to local products for consumers. To organize and unify Oakland community organizations in creating equitable climate solutions that strengthen the resilience of frontline communities. 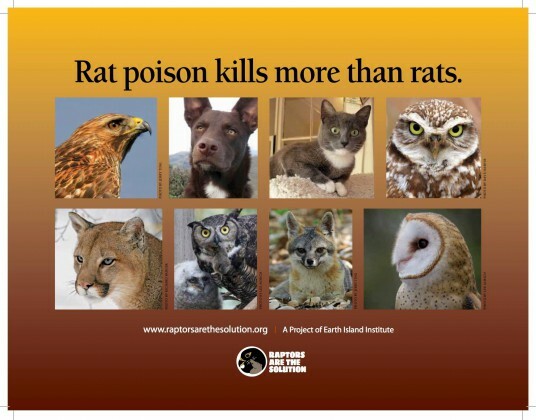 To educate people about the dangers of rat poison to wildlife, pets, and children with successful campaigns on public transit, billboards, social media, public events, and presentations. 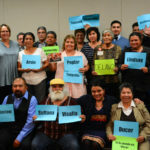 To create a community that has achieved climate justice so all people in the Pájaro Valley can live in harmony with the natural world; by advocating for a fair economy, planning for a healthy ecosystem, and guiding the community to a sustainable way of life. To use the Federal Energy Regulatory (FERC) and administrative processes, along with state water quality laws, to take down antiquated large dams and/or restore flows and water quality in key salmon watersheds. To teach best practices for sustainable city-living gardening using hands-on presentations and demonstrations led by experienced professionals. Topics will include natural pest management, responsible water use, composting, and secrets to developing a bountiful edible garden. To educate legislators and other elected and appointed officials as well as members of the public about the resources of the Washoe Meadows State Park and make the park more accessible to all. To advocate for the protection of the environment and natural resources, defend against corporate privatization of natural resources, and encourage a community-wide democratic role and participation in sustainable economic development. To use habitat restoration, job creation, and mass mobilization as a proactive response to the current attempts to dismantle the Giant Sequoia National Monument and other eminent threats to public lands. To secure safe, clean and affordable drinking water in California’s San Joaquin Valley by working to clean up existing pollution and prevent water from further contamination. To collect long-term, year-round data and evidence regarding the diminished water quality of streams downstream of clearcut and salvage logged land in the Sierra Nevada and Cascade mountain ranges. To build the capacity of community members to participate in regulatory decision-making and work with local lawmakers and regulatory agencies to advance policies to reduce cumulative air pollution and ensure better health for residents. To increase community engagement in environmental and climate justice advocacy around pollution and health issues in the at-risk and impacted community by participating in trainings conducted by Greenaction, participate in the Bayview Hunters Point Environmental Justice Response Task Force meetings and process, and in organizing on other pollution, health and gentrification issues. To educate the entire Alpaugh community about important health and environmental issues affecting their daily lives, such as water and wastewater infrastructure needs, the impact of harmful industrial/commercial operations, and air quality issues. To provide low and no-cost bicycles, along with the resources and skills necessary to repair them, to all members of the community. 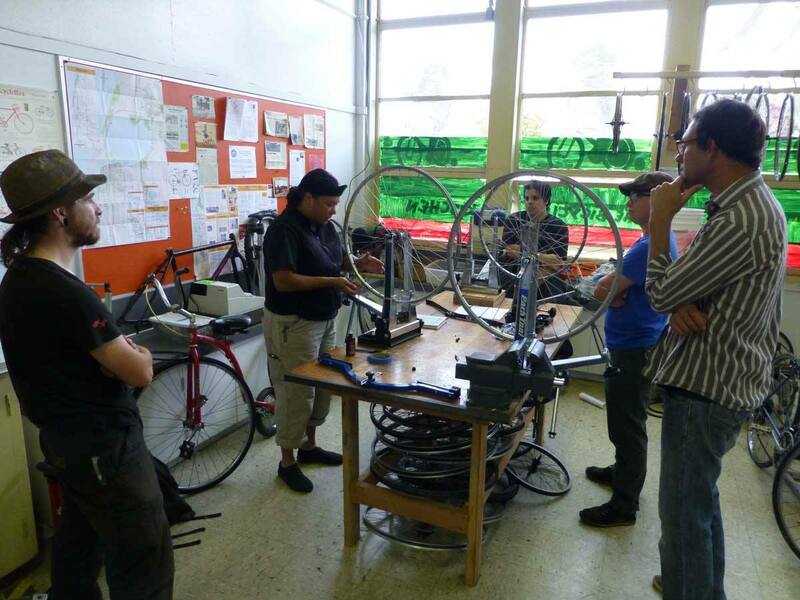 The bike kitchen is a community skill-sharing workshop & providing tools, space and mechanics knowledge for bike repair and also volunteer opportunities to earn a new set of wheels. To engage community residents in advocacy for a safe and healthy community, as well as to continue the group’s advocacy for environmental justice issues on the local, regional and state levels. 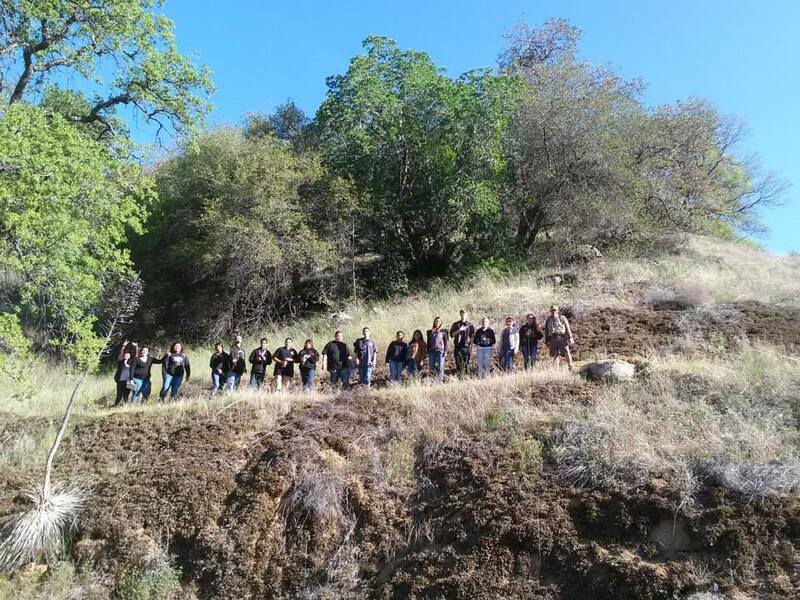 To create a community based watershed awareness and protection program by inviting interested citizens and students from Willits public schools to help monitor and learn more about the Outlet Creek basin in which they live. To convert the railroad right of way into a public recreation trail by conducting bridge rehabilitation and trailhead development. To file a lawsuit challenging Placer County’s approval of the zoning text amendment which allows ski lift facilities and ski runs as compatible uses on lands managed for timber production. To host the Run4Salmon: a two-week prayerful journey in which more than 300 tribal members, indigenous relatives and allies travel the historical path wild Chinook salmon once swam before the Shasta Dam by walking, running, boating biking, boating, paddling and horse riding from the Sacramento/San Joaquin Delta to the McCloud River. 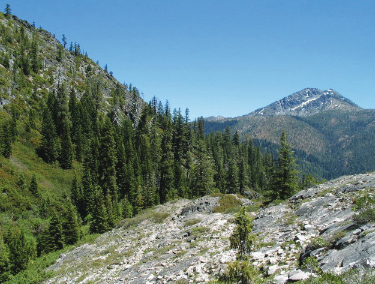 To defend mature forests, watersheds and wildlife on the Klamath and Six Rivers National Forests and beyond by active participation in planning, commenting, collaborating, monitoring and litigating projects while applying Traditional Ecological Knowledge, science, law, policy, place-based knowledge and community needs. To educate and empower community members to obtain pesticide use records, learn their toxicities, and negotiate changes in public agencies practices through written, enforceable policies that achieve least-toxic maintenance and pest-control practices. Also, to train maintenance and landscape professionals how to reduce and eliminate the toxic chemicals used at schools, in parks, and on public lands. 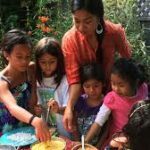 To bring together the cultural resources of the Pilipino and Pilipino American community of the Bay Area to create a thoughtful and engaging space for children and families to cultivate and understand their unique identity as Pilipino Americans through a summer program. To protect and restore Marin County’s watersheds and the native wildlife nourished by our natural heritage. To stop the proposed Centennial Dam and instead establish protections for one of the last free flowing stretches of the Bear River through early stakeholder education and grassroots organization. Fiscal Sponsor: Ink People, Inc.
To follow and document the activity of UC Berkeley scientists with the goal to produce and distribute scientific web streams and a short documentary about microbial and Eel River ecology with an emphasis on cyanobacteria. 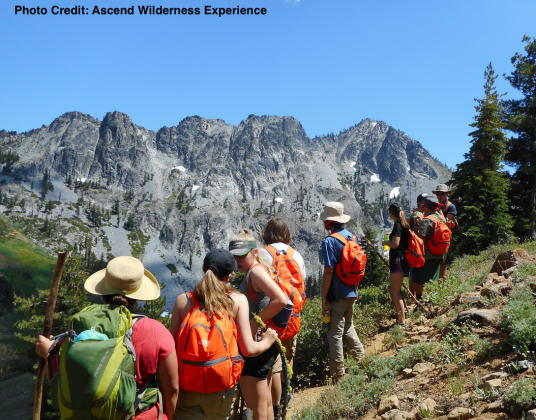 To host a five-day excursion for local youth ranging in age from 9-18 years old into the Trinity Alps Wilderness Area in Northern California. 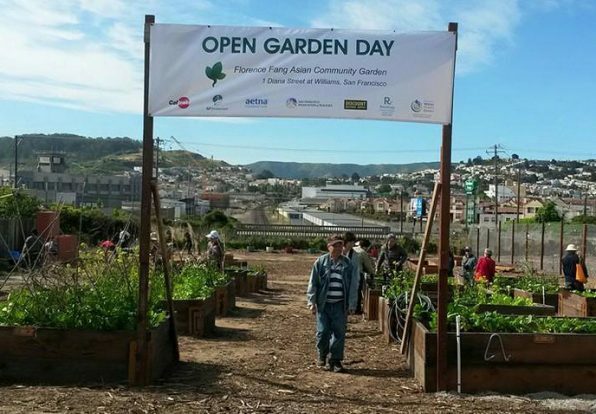 To add sustainability to San Francisco’s only community garden focused on Asian communities/traditions through building garden infrastructure (including more planter boxes, irrigation and rainwater reclamation), and by building capacity through creation of a farm stand program to sell extra produce to local residents. To continue running a community garden that successfully improves access to organically grown food, educates the residents about nutrition and the effects of pesticides, and is a place for the community to advocate for environmental health and development projects. To teach the community how to create and sustain edible gardens that will empower them with a voice through gardening and education. To support the expansion of the network’s regional hub, building resilience through low-cost, nature-inspired, community-based projects. To create pollinator habitats by building a pollinator pathway that radiates out from Oakland’s notable pollinator garden at Lake Merritt, resulting in the installation of pollinator gardens at three sites in Old Oakland. To help Sacramento Area Creeks Council improve their creek week trash clean-up and purchase more and new supplies for the actual clean-up. 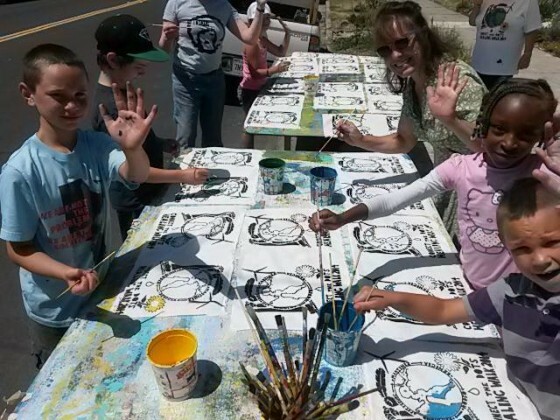 To improve the quality of life of underrepresented and marginalized residents of California’s Central Valley by promoting social and environmental justice issues through youth outreach, education, technology, and art. 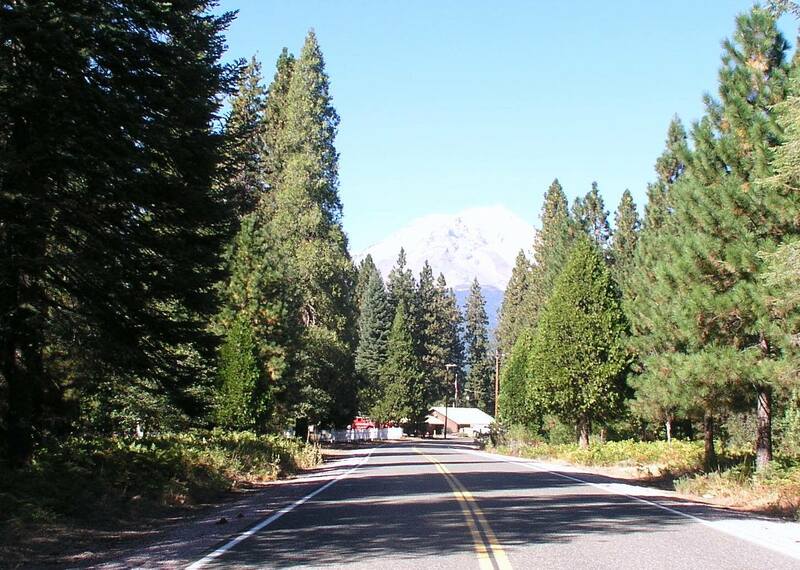 To positively affect the outcomes on all significant projects located on national forest lands in northeastern California for the protection of local communities and environment, by mobilizing the public to participate in the forest planning process for Lassen and Plumas national forests. To create a welcoming surf culture that celebrates our diverse experiences, placing joy and environmental reverence at the center, so that together we can create a healthier planet. To prepare and submit detailed Environmental Impact Report scoping comments to the County. These comments will identify environmental protection policies, programs, implementation measures, and mitigation measures. Community Action Project will promote these environmental protections in public presentations. To investigate what percentage of forest and woodlands are being converted from ecosystems to vineyards and many other wine related projects, and then share the findings with the public and its public agencies. To restore habitat in the upper reach of the Willow Creek Daylighting Plan and create an integrated outdoor learning environment for students and teachers. This project provides an opportunity for continued participation and engagement of the community to work together to provide an unparalleled on-campus outdoor learning experience for children. 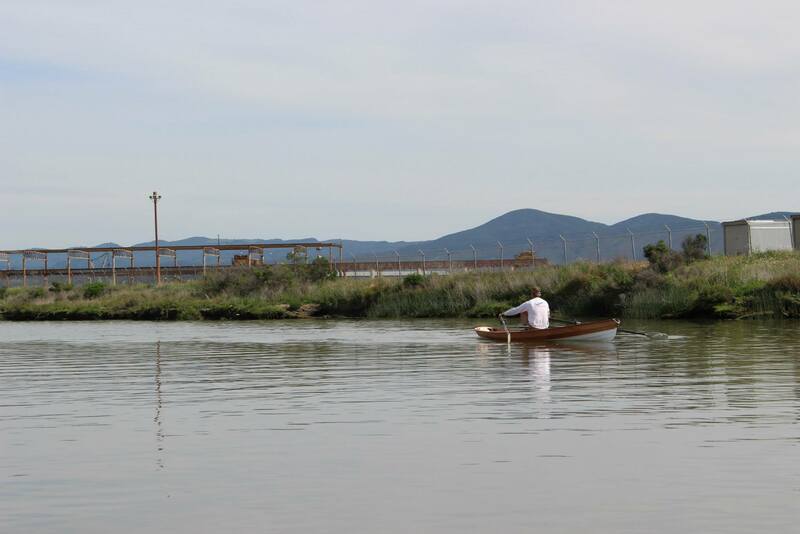 To show how native Flora & Fauna improve water quality in the Marin Civic Center Lagoon. To offer high-potential, underserved youth a chance to increase their potential as current and future change makers. The group offers multi-night camp scholarships to those who could not otherwise attend, and provides a rite of passage that motivates youth to expand their knowledge and apply life skills, creativity and purpose as they serve climate change victims, and to demonstrate to the public the high stakes related to this goal. 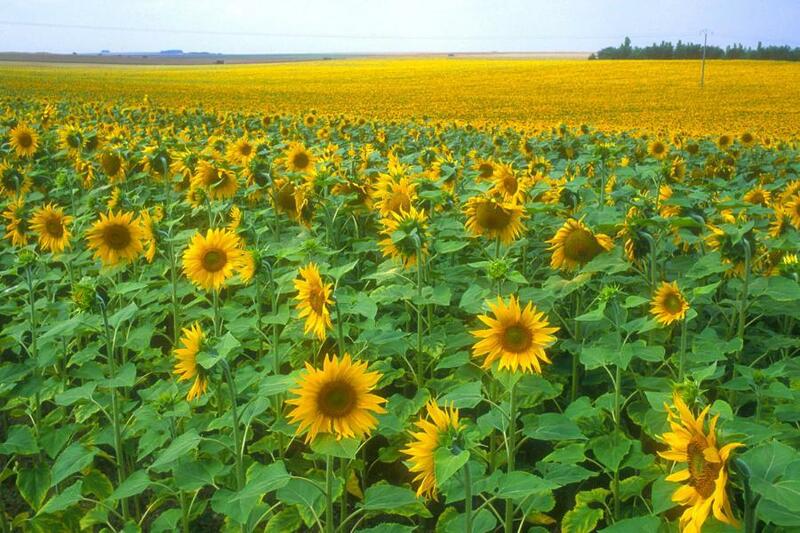 To advocate a thorough clean-up and environmental restoration of a 400 acre mill site closed in 2002. In anticipation of completion of clean-up of the final section, NHUDG is pulling the community together to daylight two creeks that were covered during mill operation and restore 60 acres of wetlands. To catalyze the fledgling movement on pesticide issues in the rural south county of the Monterey Bay area, home to some of the poorest and most disenfranchised people in the area, whose voices have been entirely missing heretofore. The group will establish regular meetings of a new SASS branch in Greenfield with the goal of joining the broader coalition’s work watchdogging the decision-making processes, building a local movement, and maintaining a media presence. To create a national monument that protects about one million acres of federal land between Yosemite and Sequoia-Kings Canyon National Parks. The monument will end commercial logging and mining (patented claims remain), and phase out grazing, while reviving non-motorized recreation and a trail system and protecting wildlife, watersheds and the quiet beauty of the natural world. Funds will support technical training of student and citizen observers participating in EPI’s Central Coast environmental protection campaign. 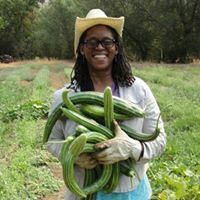 To assist African American and other underserved farmers and urban gardeners in creating and maintaining sustainable farms, and to motivate the next generation of farmers to learn and utilize farming methods that strive to preserve our natural resources for future generations. For providing support and outreach in getting local disadvantaged business communities educated and reformed to go green. To work towards the permanent protection of the Medicine Lake Highlands, that has been under threat from geothermal fracking for the past several years. Protecting and restoring Panther Meadow, in conjunction with the USFS and the Winnemem Wintu tribe continues to be the focus of the H.O.M.E. project. Preparing for the effects of climate change is also an area of work. Funds support sustainable agriculture and communities with 4 major project areas: (a) “Bee Patches” pollinator habitat protection working with local youth to increase biodiversity and improve agricultural sustainability for crops dependent on pollination, (b) “Rain Catchers” water conservation actions for rainwater collection and re-use systems, (c) Vermiculture Waste-to-Compost deployment in schools to help divert their food wastes and recycle the waste into rich compost material, and (d) “Cultivating Commerce” for new/expanded agricultural entrepreneurship to increase sustainable farming. To invite the community to work in the garden, take part in educational and creative workshops on sustainability, enjoy food cooked on site, support seasonal harvesting from the garden, develop important skills in resilience, build community, and utilize public land for the betterment of the community. To support a quickly growing newly emerged climate justice group in the underserved Pájaro Valley, this project will engage a facilitator to coalesce strategic priorities from the many needed initiatives in the region to help the group achieve early success, build a donor and volunteer base, engender confidence of collaborators and donors, and establish social media presence. To research and link river otter population recovery to watershed health and conservation through citizen science, research, outreach and education. To support the fisheries and water protection work of the local communities of the Klamath and Trinity Rivers, and to advocate to effective policy change. Siskiyou Land Conservancy’s Smith River Estuary Enhancement Program seeks reduction and elimination of 300,000 pounds of highly toxic pesticides applied annually, and in a relatively small area, to Easter lily fields that surround the ecologically vital estuary of the Smith River, as well as the town of Smith River, in the far northwest corner of California. To expand the targeted restoration area, while building collaboration with the Tolowa Dee-ni’ Nation, a Natural Resources Career Pathway for local youth within Building Healthy Communities programming, and relationships with other identified partners to support restoration on the Tolowa Coast. To protect Washoe Meadows State Park and its rare natural, cultural and recreational resources from the impacts of a proposed golf course. To study the effects of logging on water quality by collecting long-term, year-round water quality data on streams that are downstream from areas that are clearcut and excessively salvage logged. To support and build capacity among a broad partnership of organizations representing low-income and communities of color heavily burdened by and especially vulnerable to pollution exposure in the San Francisco Bay Area. To shift California Department of Food & Agriculture’s pest management away from hazardous pesticides through the preparation of a comprehensive report on ecological agriculture’s benefits and policy vehicles for incorporating this approach. To ensure free public access at Sonoma Coast State Park and preserve the Park’s natural resources and habitat. For outreach and education in Native American and San Francisco Bay Area communities to address the harmful effects of environmental degradation and climate change. For grassroots advocacy promoting responsible land use planning and the protection of oak woodlands, agricultural rangelands, and forests in Calaveras County. For events and monthly demonstrations emphasizing gray water recycling, worm bins, composting, natural pest management, drought-resilient gardening, and other sustainable living practices. 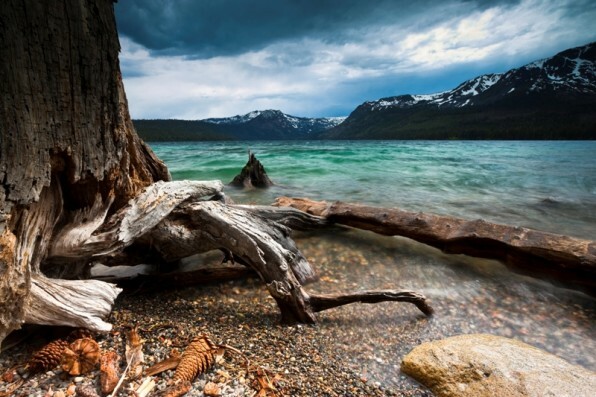 To engage Integrated Regional Water Management stakeholders throughout the Sierra Nevada and facilitate regional efforts to protect and enhance water quality, water supply, and watershed health. 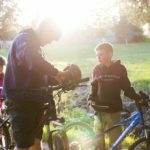 For school and community gardens throughout South Lake Tahoe, nutrition and composting classes, the promotion of energy efficiency in schools, and the development of family-oriented biking and walking routes to and from schools. For community advocacy, research, policy development, and air quality monitoring programs in West Oakland, a neighborhood with disproportionately high levels of asthma, respiratory disease, and cancer. 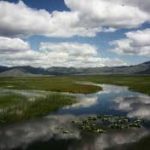 To build organizational capacity and support programs that address environmental degradation of rivers, enhanced meadow restoration, drought impacts in California’s Central Valley, and protection of wild spaces. To improve organizational capacity and continue environmental education and advocacy around local climate issues in Sacramento. To support a grassroots coalition of 118 members from 22 low-income communities and communities of color dedicated to securing safe, clean, and affordable drinking water in the San Joaquin Valley. For early stakeholder education and grassroots organizing to stop the proposed Centennial/Parker Dam and to protect one of the last free flowing stretches of the Bear River. To permanently protect over 100 acres at Point Molate in Richmond, one of the last undeveloped headlands on the shores of San Francisco Bay. 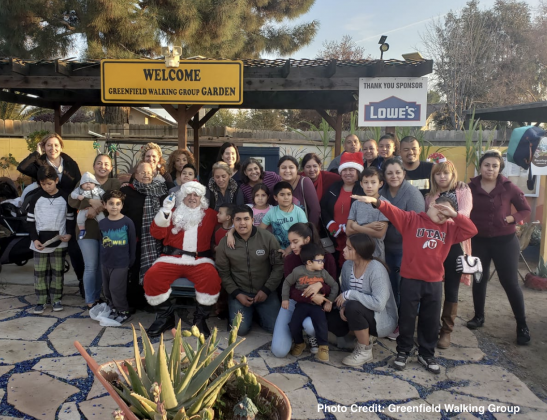 To build capacity, administer a community garden, and advocate for environmental health and community development projects in the Central Valley. To community support to reduce the harm caused by the movement of goods throughout the Bay Area, especially in low-income communities of color that already bear a disproportionate health burden from these activities. To advocate for safe and affordable drinking water, improved access to transit, and improved air quality through community engagement and empowerment in Fairmead, CA. 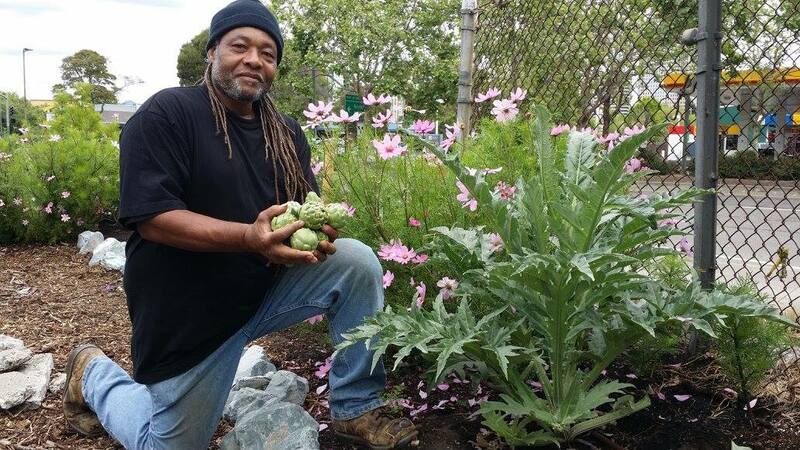 For a community garden in West Oakland that grows a wide variety of organic fruits and vegetables of significant cultural, historical, and nutritional value and offers cooking classes, gardening demonstrations, and other community building opportunities to local residents. To identify and quantify sources of bacterial pollution and inform action plans to clean up waterways in Humboldt County that were recently designated as Impaired under the Clean Water Act. 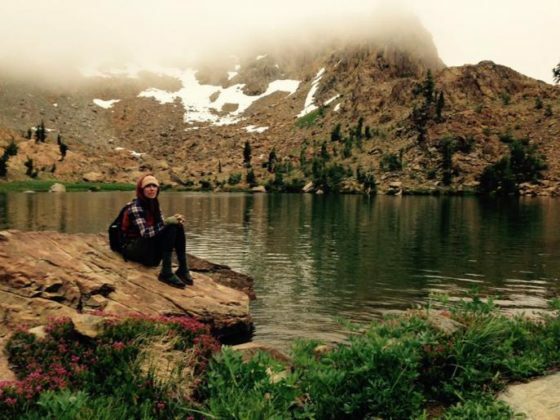 For an Outdoor Mental Health program supporting underserved youth in developing a robust connection to the environment, enabling them to become long-term environmental stewards and advocates. 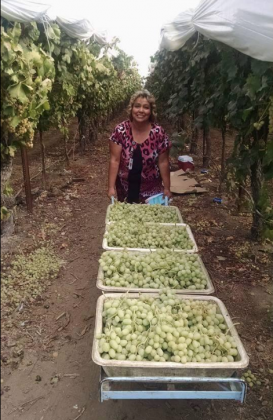 For community-based advocacy to protect local school children and the Russian River from pesticide drift from a large winery located near an elementary school and adjacent to Russian River tributary Atascadero Creek. To build the capacity of a statewide environmental justice coalition to undertake new campaigns, stipend a new part time coordinator, and help the 57 member groups take action, advocate, and speak out at key state policy forums. To engage local community members, educate leaders, and offer alternative perspectives focused on sustainability and livability to change transportation planning priorities on the North Coast. For movement building and critical environmental justice work in the areas of water and air quality, pesticides, and public health in the small rural community of Alpaugh. To protect the natural resources of Calaveras County and prohibit unwise development by hiring an outreach coordinator to participate in the Calaveras County General Plan process. For air and water compliance monitoring in the low-income community of Chester, which houses a waste-to-energy plant and witnessed an excessive spike in illness and sudden death incidences in recent years. 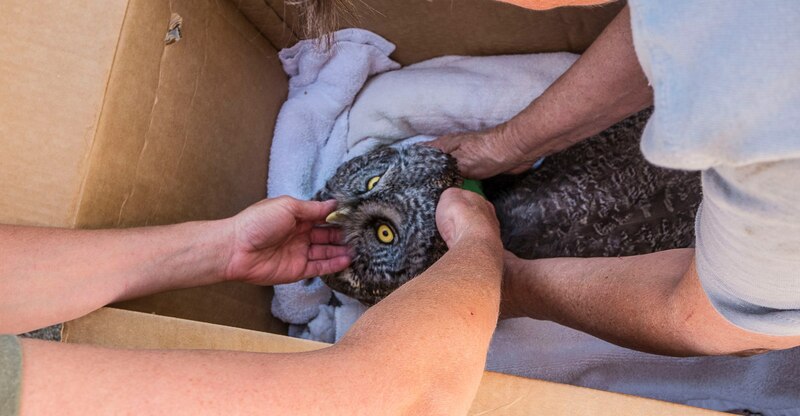 For wildlife rehabilitation services to over 400 wild patients per year in the Eastern Sierra, and classroom and outreach programs that educate the local community about the importance of cohabitating with native wildlife. For installing a solar system at the East Oakland Boxing Association and reinvesting the money into other community-owned clean energy systems in local underserved communities. For community outreach, volunteer stewardship, and restoration of the Pinole Creek Watershed. 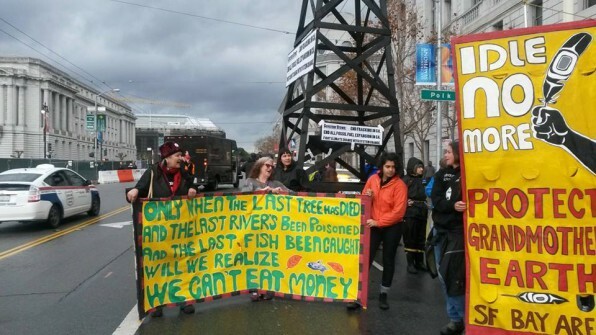 Continued grassroots engagement is essential for the survival and recovery of federally protected steelhead trout in San Francisco Bay tributary Pinole Creek. To convert a former railroad corridor into a public recreation trail by embarking on important maintenance tasks such as bridge rehabilitation and trailhead development. For the Climate Change Agents Camp, a weeklong overnight camp where high-potential, underserved youth are given the tools to be climate change agents in their community. 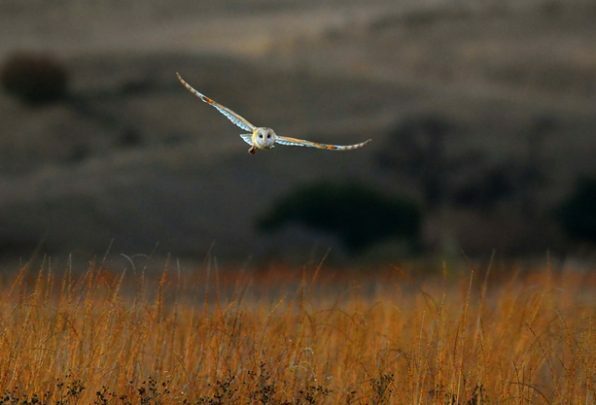 For protection of upland habitat and wildlife movement in Sonoma County’s Petaluma River Watershed. Paul Lane Action Network will support advocacy to prevent urban sprawl and destruction of open space in Sonoma County. 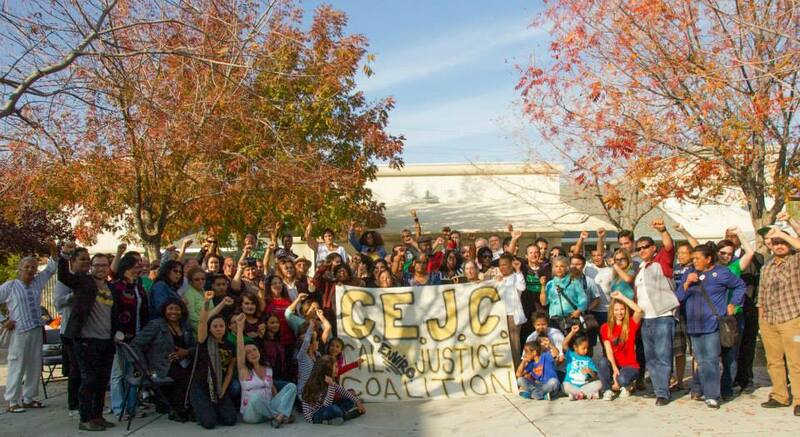 To organize and educate youth in Kettleman City on environmental justice issues affecting their community. For coalition work and community engagement to reduce pesticide threats in Monterey and Santa Cruz Counties. The Central Coast region, where much of the nation’s produce is grown, suffers a disproportionate burden of pesticide pollution, resulting in contaminated runoff that damages water quality in the watersheds of Monterey Bay, and public health threats including increased community risk of cancer, reproductive and developmental harm, and nervous system damage. To protect burrowing owl habitat in the Sacramento Valley by advocating for protective mitigation projects that are required when burrowing owl habitat is destroyed by development projects. To provide low and no cost bicycles, along with the resources necessary to maintain and repair them, to disadvantaged residents of Eureka, CA. Support will also help the bike kitchen transition to a new permanent location. To promote sustainable farming and innovative agricultural practices, inspire a new generation of farmers, and assist African-American and other underserved farmers and gardeners in creating and maintaining sustainable farms. 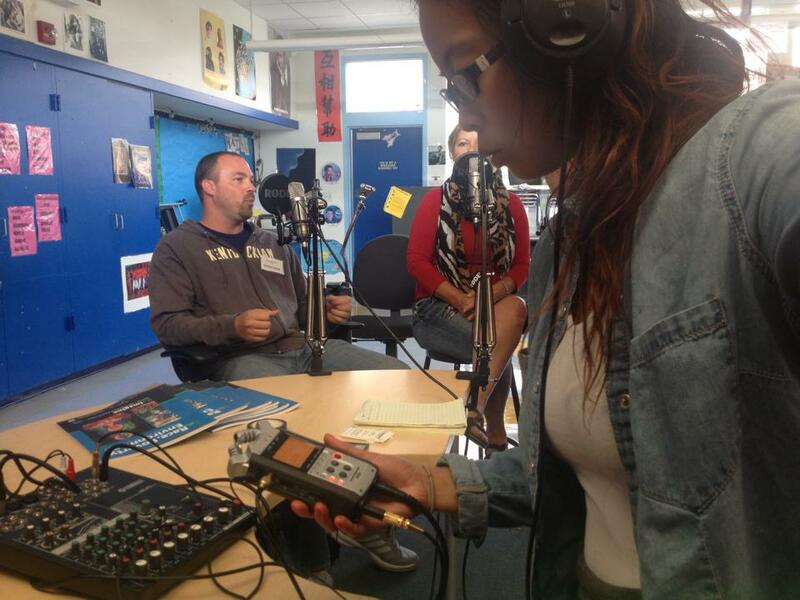 For air quality monitoring by high school students in Pittsburg, CA. Students will educate their peers and the larger community about environmental health concerns and advocate for the reopening of an air quality monitoring station. 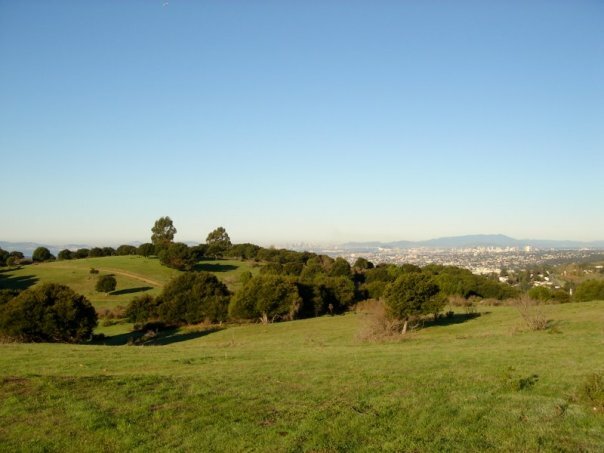 To protect Knowland Park, the largest remaining open space in Oakland, from a planned zoo expansion that will irreparably damage the park by leveling hilltops, cutting down oak and other native trees, damaging native grasslands, and threatening wildlife species. For a lawsuit to protect Outlet Creek and the Eel River from a proposed asphalt plant that would threaten water quality and three species of threatened salmonids. For a grassroots campaign to guarantee that underserved K-12 schools receive California Air Resources Board cap-and-trade funds for green schoolyards, waste reduction, transit, energy conservation, and climate literacy. To protect valuable habitat, natural resources, and wildlands in Sierra and Plumas Counties from premature and unwise development. To protect Mount Shasta’s watersheds, forests, and stunning landscapes from unsustainable development and implement a climate adaptation initiative. To collect data on the high levels of dioxin pollution from a wood treatment plant in the City of Oroville, compel public policy makers to pursue cleanup or remediation of the affected areas, and to issue public health advisories to residents. To inspire activists, educate policy makers, and mobilize our communities by publishing and disseminating photo essays, narratives, and interviews about the effects of climate change on low-income people and communities of color. To bring community voices to the local planning processes in order to promote healthy food and sustainable farming in Sacramento County. To support the expansion of the Identifying Violations Affecting Neighborhoods (IVAN) app into the Sacramento Valley. The IVAN app allows residents to report environmental violations directly to local and statewide enforcement agencies and has been used successfully in other areas of the state. 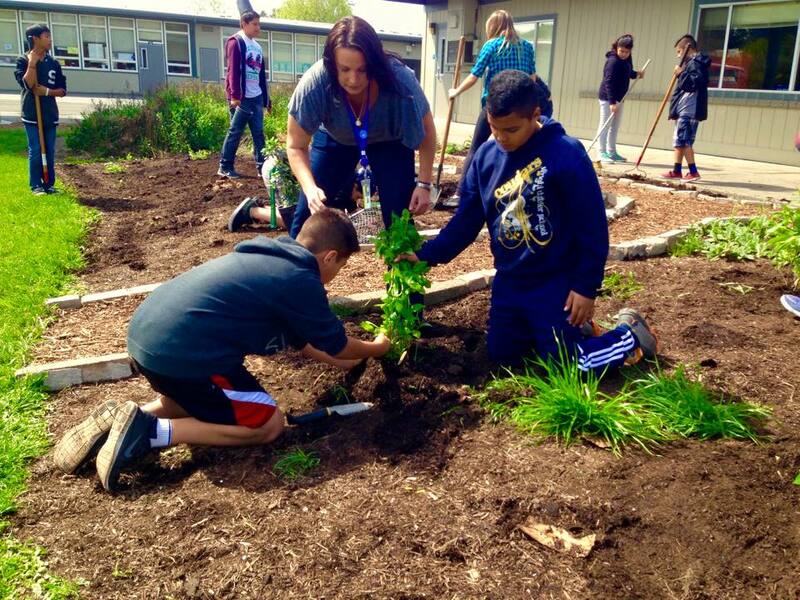 To support sustainable garden and nutrition-based learning programs in K-12 schools throughout Sonoma County. The School Garden Network addresses significant obstacles school gardens face by providing trainings, financial support, and mentoring to school garden programs. To create a new national monument between Yosemite and Sequoia-Kings Canyon National Parks. The monument would include approximately one million acres of land renowned for its spectacular beauty and biodiversity, create wildlife corridors, and encompass three major watersheds. To eliminate threats to the estuary and wildlife of California’s wildest river, the Smith River, and to promote restoration projects. Foremost amongst these threats are Easter lily bulb farms, which annually apply more pound-per-acre of toxic pesticides than anywhere else in the state. To provide hands-on lessons in growing food and medicine, fostering community resilience, and developing healthy urban food systems for underserved communities and people of color. Soul Flower Farm partners with dozens of Bay Area organizations and schools for educational farm tours, classes, workshops, and work opportunities. 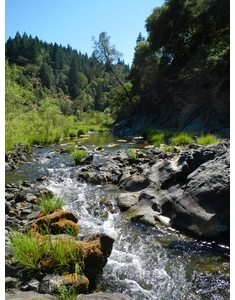 For grassroots community action to enhance and protect the San Pablo Creek Watershed. 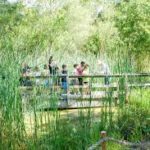 SPAWNERS leads monthly creek restoration and water quality assessment workdays, maintains native plant demonstration gardens, holds creek cleanups, and leads service-learning workdays for students. To oppose the mandatory chemical spraying of the Japanese beetle by CA Department of Food and Agriculture in suburban Sacramento County and to promote equally effective green alternatives. Urban runoff from chemically treated lawns drains into the nearby American River. 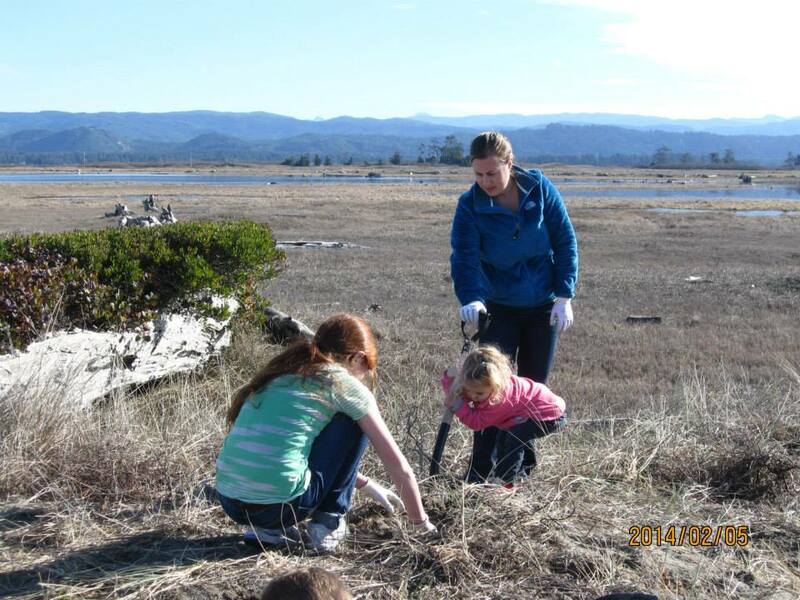 To engage youth and other volunteers for targeted, urgently needed dune and wetland restoration at the mouth of the West’s largest coastal lagoon in Del Norte County. To promote responsible waste management practices in Stanislaus County and end waste incineration in the unincorporated territory of Crows Landing. Waste incineration threatens air quality and has a disproportionate impact on low-income, Latino communities. 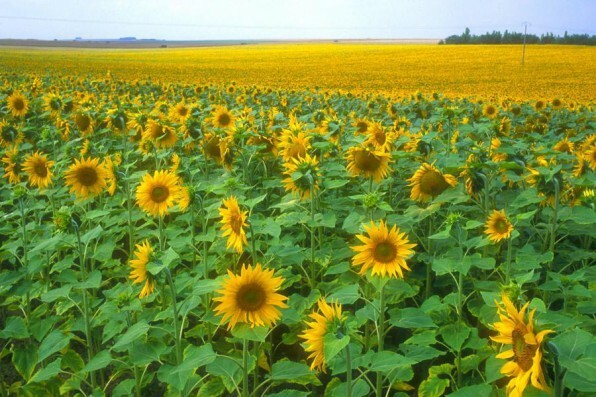 To research and report on how ecological farming practices can be used for pest management, crop nutrition, climate change adaptation, pollinator health, and soil health and to use this information to shift the state’s pest management practices away from the current heavy dependence on extremely hazardous pesticides. To inform and empower community residents about the health risks posed by the former Fort Ord Army Base. Health risks include contaminated groundwater, open burning that releases toxic smoke, soil contamination at small arms ranges, and the detonation of munitions. For environmental education programs in Napa County schools and the development of the Napa Youth Watershed Stewardship Council, a youth program that engages high school student leaders in the watershed, supports their growth through project based learning, and provides training to support extending hands-on, innovative environmental education to their peers. To support Native-led walks that bring attention to the second largest concentration of refineries in the United States by visiting a cluster of five fossil fuel refineries in the San Francisco Bay Area. These refineries process Bakken crude and Alberta Tar Sands oil and negatively impact nearby residents who are primarily low income people-of-color. 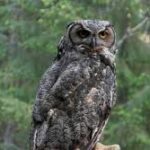 To defend wildlife habitat, mature forests, and watersheds within the Klamath and Six Rivers National Forest by working closely with small rural river communities, the Karuk Tribe, watershed and firesafe councils, and local agencies. For an online project to honor and amplify the voices of young people whose lives have been transformed by environmental education programs. Nature’s Voices Project will create a platform to lift youth stories and perspectives and build support for environmental literacy as a fundamental component of a high-quality 21st Century education. To increase public awareness about the dangers to children, pets, and wildlife from rat poison, and to promote alternatives to rodenticides. To participate in regional efforts in the Sierra Nevada to protect and enhance water quality, water supply, and watershed health, with a focus on serving disadvantaged communities and Native American tribes. To plant and monitor western white pine seedlings at several locations around Tahoe. 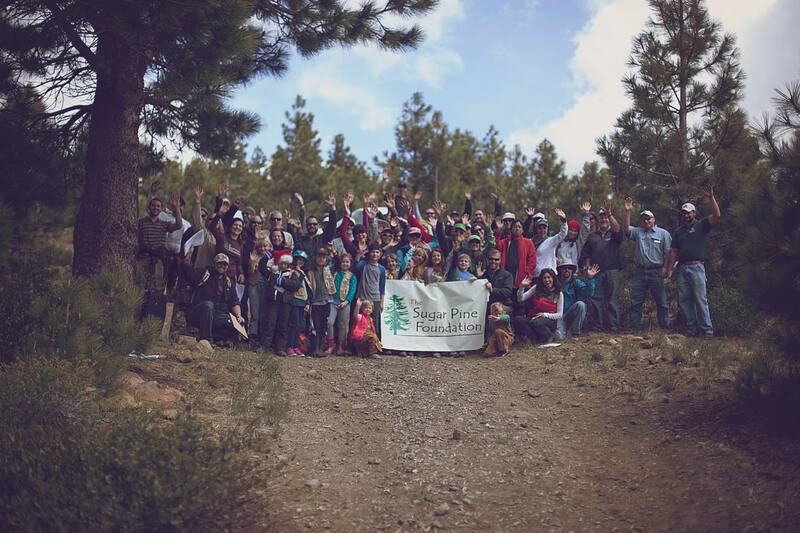 About 200 local students, volunteers, and field crews will participate in this project to restore the western white pine population and enhance forest health and wildlife habitat. To increase food production in urban areas, create economic viability within urban agriculture, educate communities about food entrepreneurship, and improve the health of the community by harvesting, foraging, and processing locally grown food and herbs. 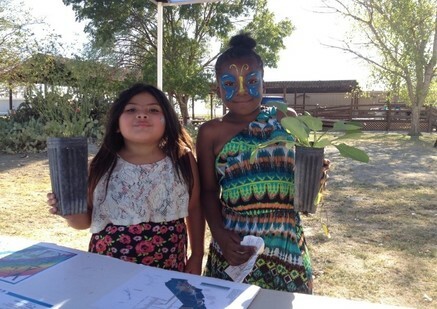 For habitat restoration and education projects targeting low-income communities and communities of color in the Central Valley, and to support capacity-building targets such as the creation of a five-year strategic plan and the development of an advisory board. For capacity building, media and community outreach, and implementation of a Climate Action Plan, which will empower people and communities to take action on climate change. 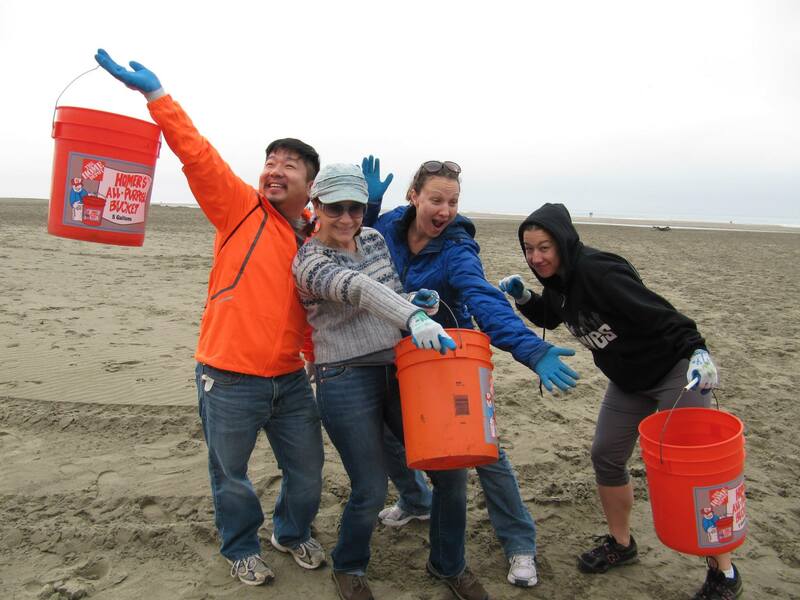 For a community-generated response to marine pollution in Northern California by providing beachgoers with information and practical tools to clean up ocean trash, 80% of which comes from the land. 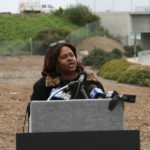 To oversee the dismantling of Candlestick Stadium to prevent further damage to local air quality in an underserved neighborhood, where there already exists a disproportionate number of residents with respiratory illnesses resulting from toxic pollution from shipyards, power plants and industrial worksites. For environmental health advocacy, community development projects, and a community garden that will allow low-income residents to grow food organically and improve their nutrition without exposure to toxic pesticides. To restore the Eel River, one of the last wild river ecosystems in Northern California, so that it is swimmable, drinkable and fishable. This grant will support membership recruitment, improved outreach, and volunteer coordination for the “Is it Swimmable” and toxic algae detection programs. To improve the water quality of the Marin Civic Center lagoon and the nearby Gallinas Creek, a tributary to San Francisco Bay, through fostered community stewardship, engagement of local volunteers in hands-on restoration projects, and innovative watershed restoration methods. 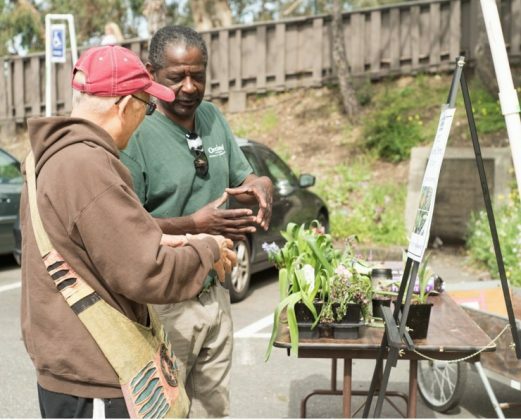 To reforest urban Oakland neighborhoods in order to improve the environment, build community, and create a long-term source of local healthy food in neighborhoods classified as food deserts. To identify and quantify sources of bacterial pollution runoff in Humboldt Bay and adjacent coastal watersheds. This data will inform action plans to clean up waterways recently designated as Impaired under the Clean Water Act. For a collaborative grassroots campaign to provide the residents of Lucerne with safe and affordable drinking water by establishing community control over the local water supply, which is currently privately owned and controlled. To increase access to healthy fruits and vegetables among low-income, urban households, at an independent weekly community market in the Mission District. This program will match Cal Fresh (formerly called food stamps) and other food aid programs 1 to 1, providing access to fresh, healthy food in a neighborhood that has elevated rates of diet related chronic disease. 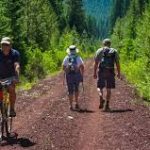 To support a diverse coalition in rural northeastern California working to map and promote an existing network of recreational trails on three local lakes in the Upper Feather River watershed. 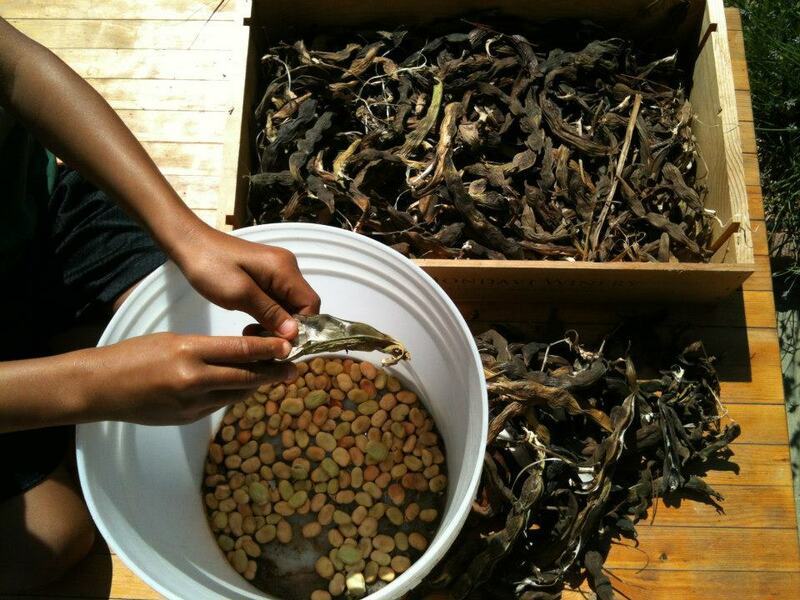 For a grassroots experiential learning center in Northwest Oakland that showcases sustainable living practices for the general public through community workshops and outreach programs focused on urban homesteading, neighborhood community building, community resilience and preparedness, social justice, and artistic expression. 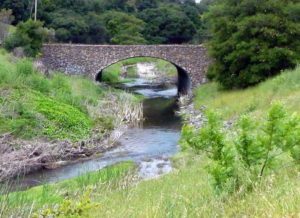 For advocacy to ensure that large-scale vineyard conversions in Sonoma County undergo proper environmental review to determine impacts to Russian River water quality and public health, especially the effects to Russian River tributary Atascadero Creek and the 700 children attending school next to a proposed vineyard on Watertrough Road. To protect and restore Wolf Creek, part of the Sacramento River watershed, through water quality monitoring, invasive plant removal, replanting native plants, meadow restoration, assessing the impact of abandoned mine sites on the watershed, and advocacy for low-impact development, creek setbacks and creek friendly landscaping.